I mentioned several days ago that I have not any favourite characters yet in Downton Abbey. I have just begun watching the third season and I now have one. 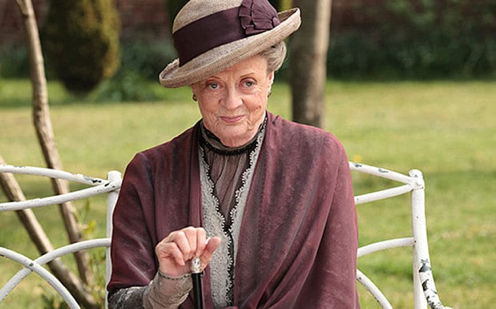 It's none other than Dowager Countess of Grantham Violet Crawley played by the brilliant Dame Maggie Smith. She is such an awesome character and I look forward to every scene she has and I am never disappointed with what she has to say and especially how she says it. When I am done with the series, I should go to YouTube and find a video that has all her scenes stitched together and it will be a great satisfaction to watch them all at one go. My favorite too. She steals every scene she is in.